Ink is acid free, permanent, and waterproof. 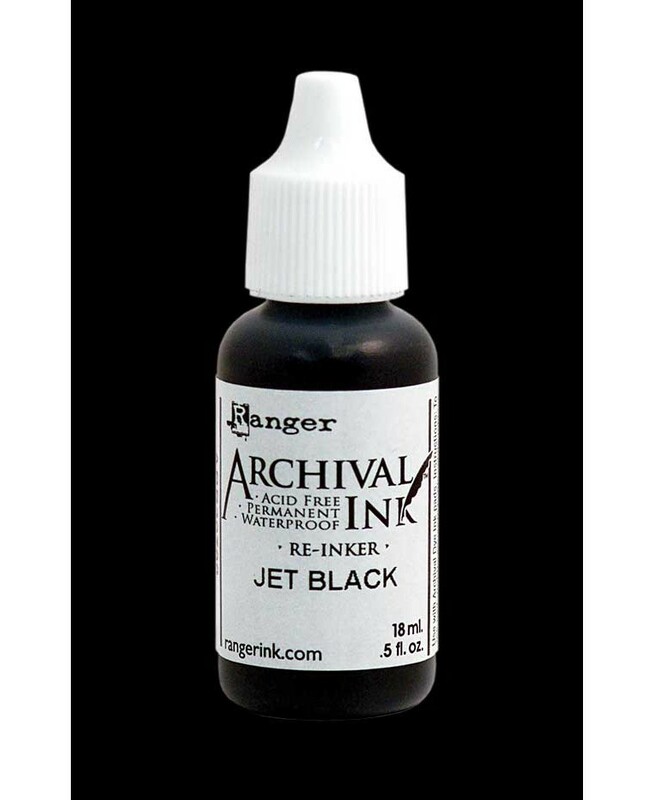 Use this reinker to refill your Jet Black Archival Ink pad. One .5 oz bottle of archival ink. Matching ink pad available and sold separately. Ink is acid free, permanent, and waterproof.